French President Emmanuel Macron has said that the International Monetary Fund (IMF) should step back from its role in European bailouts. His comments mark a break away from a widely accepted policy adopted after Greece, which came close to crashing out of the Eurozone in 2015, sought international financial aid seven years ago. 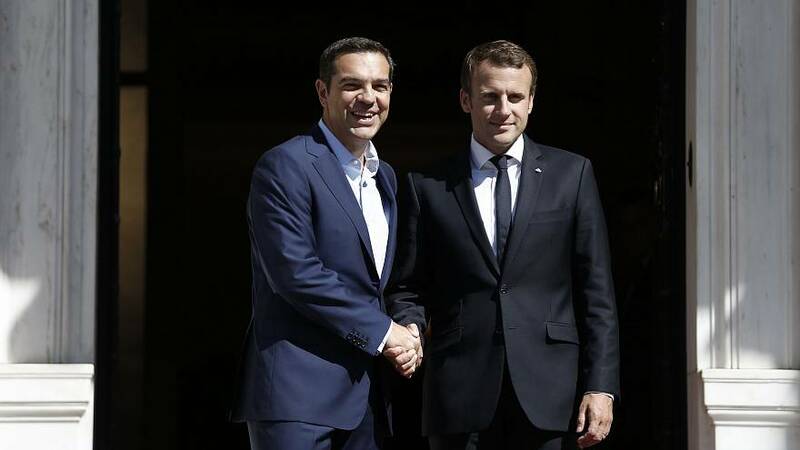 Macron, who met with Greek Prime Minister Alexis Tsipras in Athens on Thursday, backed Germany’s idea of a European Monetary Fund, saying he believes that dealing with economic shocks in the Eurozone should be the prerogative of Eurozone member states. The French President, who is calling for a giant leap forward in European cooperation, pressed for greater financial solidarity towards the bloc’s more vulnerable members. Speaking in Athens, he said: “The presence of the IMF was a symptom of the lack of trust between European states, between European institutions and the member states. During his visit to the Greek capital, he also called for an easing of the country’s debt burden. The IMF has participated in two of Greece’s three foreign bailouts since 2010 in exchange for unpopular austerity measures. Tsipras also backed the creation of new European Institutions to resolve European financial problems.